Greased Lightning… Go Greased Lightning! If you haven’t seen it (really, where the hell have you been – if you’re in the US – that you haven’t been at least exposed to it), there’s a scene in Grease where there’s a drag race. It appears that there’s a closed section of the Pennsylvania Turnpike – a tunnel, no less – that has been repurposed for (almost) that very thing: as a wind tunnel of sorts. 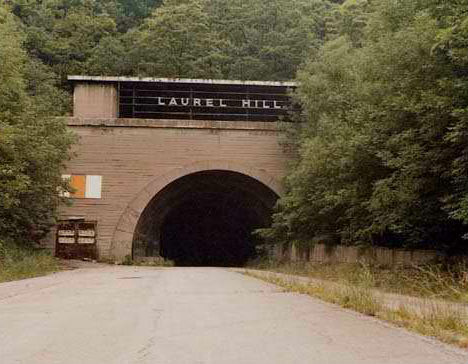 It’s the Laurel Hill Tunnel, in western Pennsylvania. As I looked into this one, I was surprised to notice how close it is to Greensburg. I’ve likely driven right past this spot without even seeing it (considering it went out of service in 1964, it’s not that surprising). While it will be interesting to see how long it’s used this way, it’s at least found a new use, for now. Maybe, just maybe, it might also be able to be used in visual media productions (a la Revolution or Hunger Games styled stories). This entry was posted on August 29, 2013, 15:42 and is filed under Repurposing. You can follow any responses to this entry through RSS 2.0. Both comments and pings are currently closed.